Continuing along with my view of what will happen with the 2017 postseason awards, here’s a look at the big pitching awards. 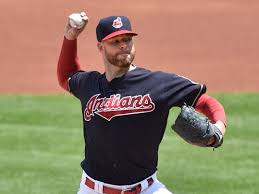 Kluber of the Indians led the AL in wins and ERA, still big stats for the traditional voters, and also posted a league leading WHIP and ERA+ to impress the new stat guys. His WAR was 8.0, also a league high. I think he gets the AL Cy Young without too much trouble. 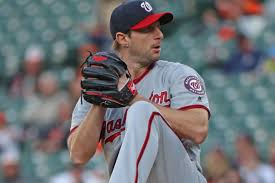 Max Scherzer led the National League in WHIP, WAR (for pitchers) for the new guys and in strikeouts for the older writers. His nearest rival is Clayton Kershaw who had more wins and a lower ERA, which, I believe will get him a lot of support. As much as I’d like to see Kershaw win, I am reminded that when he went down, the Dodgers didn’t miss a beat in running up the league’s best record. Apparently they can win without him. Not so sure of that when it comes to Scherzer and the Nationals. I think it may make the difference in what should be a close ballot. Although I’m reasonably sure of Kluber, I won’t be surprised if Kershaw knocks off Scherzer for the award. So the year is ending, is it? Well, good riddance to bad rubbish. In many ways 2013 was a lousy year. The weather, the politics, the expenses, my wife broke a leg (which is now healed fine). But baseball provided some good moments. Here, in honor of nine innings and in no particular order, are some moments, both good and bad, that I remember. 1. The Dodgers made the playoffs and promptly hashed it. If you’re a Dodgers fan like me, this is a good sign. 2. The Miguel Cabrera/Mike Trout controversy stayed around. Isn’t it great that there are two players this quality in the Major Leagues today so we can debate the meaning of greatness? 3. Biogenesis. Who ever heard of them? I wish the whole PED issue would just go away, but I know it won’t. 4. Mariano Rivera did finally go away. That’s the wrong kind of going away. Never a Yankees fan, but it was a joy to watch Rivera perform. He was good, he had class, he had style. Name five other players you can say all that about. 5. The Red Sox won the World Series. OK, I’m not a BoSox fan either, but they’re a good team, a good organization, and David Ortiz is one heck of a hitter. 6. Clayton Kershaw proved why it’s now alright to mention his name in the same breath as you mention Sandy Koufax’s. 7. 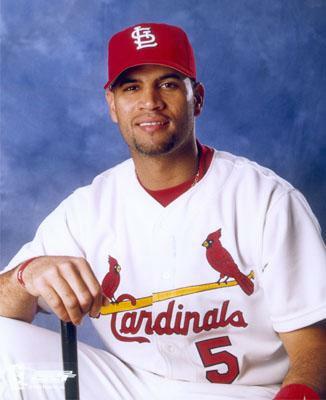 Albert Pujols proved mortal again. I hope it’s not the end of the line for the finest first baseman I ever saw. 8. 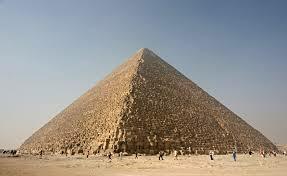 Mike Matheny got his Cardinals to the World Series. Finally he can begin to move out from under Tony LaRussa’s shadow. 9. The Hall of Fame put in Deacon White and Jacob Ruppert, both of which I’d been pushing for, but left out everybody else except an ump and three managers. Are you kidding? Hopefully, you have your own list of nine. These are mine. May you have a better 2014 than you had a 2013. 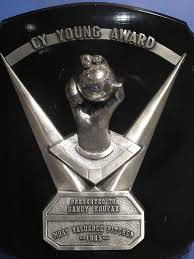 To me, the 2013 Cy Young Awards are the easiest to figure. I have my choices and I believe the will coincide with the writers. NL: Does anyone serious expect someone other than Clayton Kershaw to win the National League Cy Young Award? AL: It’s a little trickier in the American League. There is going to be a lot of support for new stat guys like Felix Hernandez, but I think the writers will ultimately go with Max Scherzer of Detroit (without reference to his bullpen letting him down last night). There was one 20 game winner in the Major Leagues this season and Scherzer was it. I think that stat alone will give him the writers nod. I’ll go with him too. I recognize the devaluing of the “win” stat, but Scherzer has a lot of other things going for him. His WHIP is impressive (and first in the AL), as is his FIP. His ERA is 2.90, which is good in this era, and is fifth this season. His ERA+ is 145 (tied for second). He’s third in pitcher’s WAR behind Iwakuma and a guy with a losing record (Sale). He’s second in strikeouts. All of that together puts him first on my ballot. About the picture. 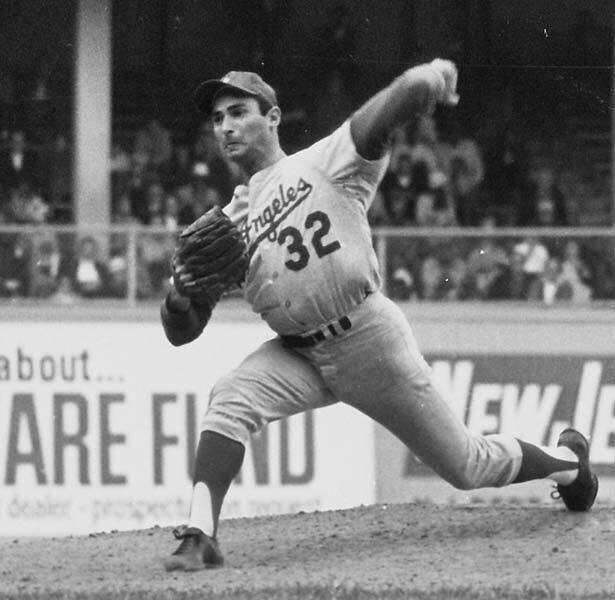 As people are constantly comparing Kershaw to Koufax, thought you might like to see a shot of the real thing in action.